Podcasts remain to be very popular these days. Whether they are set up as a TV or radio show, these podcasts have evolved through the years with many of them now having different seasons and episodes covering a wide range of topics and featuring special guests. 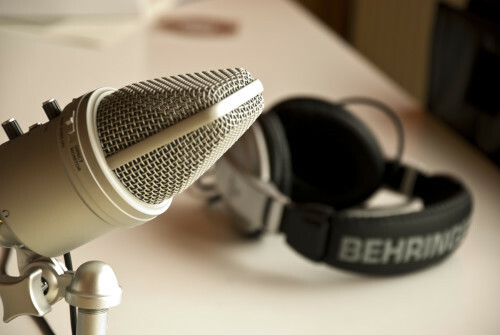 The popularity of podcasts in recent years can be attributed to several factors. They are easy and cheap to produce that even small businesses with a small staff and limited budget can successfully do. Being verbal in nature, they are effective in telling stories that can attract potential customers, even new and targeted audience as well as business partners. Podcasts are also very convenient to consume in that people can listen to them using various mobile devices and at any time they want. Those interested to become podcasters today can choose to create their own or work as a freelancer. Bloggers who are podcasters at the same time can also accommodate freelance projects from individuals or groups using the blogger job boards. Podcasting tools are also plenty nowadays with most of them available online free or paid. However, having the best microphone makes a huge difference in producing crisp and clear audio that your audience would want to listen again and again. Here some of them you should consider this 2015. If you’re very particular about getting a very compact microphone, the iRig Mic Cast is perfect. It is a pocket-sized recording mic for iPhone and Android devices and best for interviews. This type of mic can record sources whether close-up or at a distance. The AudioTecnica AT2020 is a USB microphone that ensures professional quality audio all the time. It is capable of reducing sounds from the sides and rear and improving isolation of sound silence users want. This mic comes with a tripod desk stand, pivoting and stand mount and can be used for recording audio whether at home or out in the field. pattern settings that can be used for a multiple sound source and direction environments. This type of mic is also very flexible as it can be used for a solo podcast, a bi-directional interview or an omni-directional recording of an environment. The Procaster is a dynamic mic great for podcasting. An XLR microphone, it can be plugged into a 1/4″ jack or via the USB port and even has a built-in pop filter. This microphone is for entry level podcasting. It can equal that of the ATR2100 which, unfortunately, is available only in the U.S.
A flexible mic, it can be used indoors or outdoors and best for capturing live audio interviews. Keep in mind that investing in a quality microphone is a must if you’re serious in podcasting and want to continue producing podcasts for the long term. You have many choices nowadays hence, there’s no reason why you can’t produce a quality podcast that your audience will enjoy and find useful.